Get ready for the Saratoga Classic Half Marathon & Super Sara 5K! On January 26, 2020, MWR Mayport will be hosting the 2nd Saratoga Classic Half Marathon, in honor of USS Saratoga (CV-60), Naval Station Mayport's first aircraft carrier. This 13.1 mile course will begin onboard Naval Station Mayport where runners will make their way through the installation before heading out the Main Gate towards HWY 116. Once on HWY 116, runners will cross the Wonderwood Bridge before looping back to the installation. The course offers views which are truly unique! Sights include helicopters, ships, St. Johns River, Atlantic Ocean, and the Intracoastal Waterway. Click here to see the course! 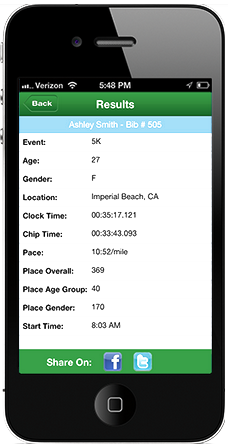 Cut-off time is 3 hours and 30 minutes for the half marathon (15 minute/mile pace). Half Marathon Registration is now available for only $45. Super Sara 5K Registration is now available for only $25. Wheeled Division will allow participants in wheelchairs to participate in this race without the congestion of the entire pack. The wheeled division will start approximately 15 minutes earlier than the non-wheeled entrants. Awards will be given to the top 3 overall wheeled participants. * The top 3 male and female Overall (across all age groups), top 3 male and female Masters (40+), top 3 male and female Wheeled, and the top 3 Teams will receive additional awards. Non-Affiliated Spectators will be ONLY be allowed on the installation with a wristband and valid photo ID. Wristbands for spectators will be available at packet pickup. Each runner will be limited to four (4) non-affiliated spectators and must provide full name when receiving wristbands. DoD ID card holders will not be required to have a wristband to come onboard the installation. PROHIBITED ITEMS: No bags of any kind larger than 12" x 12", chairs, outside food or drink, coolers, illegal drugs, controlled substances, any weapons, bicycles, pets/animals (except for assistance animals), professional cameras with removable lenses, selfie sticks, recording devices, laser pointers, strobe lights, irritants (e.g. artificial noisemakers), bundles (e.g. package), fireworks, and containers of any kind. Food, beverage, and restrooms will be available at the event. SPECIAL NOTE: Concealed carry permits are NOT honored onboard the installation, and FIREARMS are prohibited. SEARCH: All personnel are subject to search and forbidden items will be seized and properly disposed of by security personnel. RIDESHARE/TAXI RULES: Uber/Lyft are NOT allowed onboard the installation. The only TAXI company allowed on base is Coastal Cab.